The modulus operator returns the first operand modulo the second operand, that is, var1 modulo var2, in the above statement, where var1 and var2 are variables. The modulo function is the integer remainder of dividing var1 by var2. The result will have the same sign as var1. In the first case (i.e. 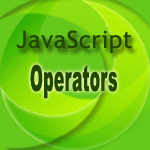 post-increment) the operator increases the variable var1 by 1 but returns the value before incrementing. In the second case (i.e. pre-increment) the operator increases the variable var1 by 1 but returns the value after incrementing. In the first case (i.e. post-decrement) the operator decreases the variable var1 by 1 but returns the value before decrementing. In the second case (i.e. pre-decrement) the operator decreases the variable var1 by 1 but returns the value after decrementing. The unary negation operator changes the sign of var1. When the operator negating a variable, the value of the variable remains unchanged, but the return value is negated.